We’ve heard feedback from customers that bringing new users onto Readysell can sometimes be a challenge. Over the last year we’ve been putting a lot of emphasis on improving our documentation to make onboarding and upskilling easier. Today we’d like to announce the next stage of our campaign to improve user proficiency and productivity, the Readysell training video library. The library currently consists of over 100 videos covering a wide range of topics. We’ve aligned our videos closely to the Readysell Training Guide, allowing users to follow along with our written documentation and to easily get more information if and when they require it. Whether you’re looking to improve your skills or to bring on a new staff member, the training video library should be your first port of call. 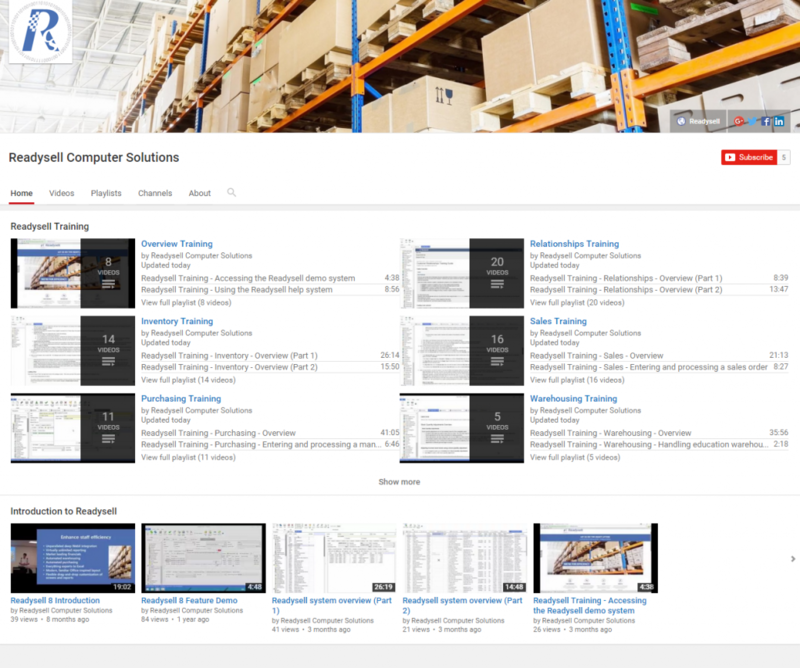 We’ve updated our YouTube channel with all of our training videos. They have been arranged by topic area into playlists. Just search for “Readysell” on YouTube or use the link on the Readysell home page. We’ve worked in collaboration with Office Brands to provide our training video library on Office Brands University. Just click the “Office Brands University” button from My Portal and find the “Readysell Training” category. Throughout the Readysell Wiki you will notice relevant videos embedded into our existing content. Whether you’re progressing through the training guide, or looking at a specific how-to page, if we’ve recorded a video on the topic, we’ll make it available to you right there. We’d love to hear your feedback about how useful these videos are and where we can make improvements or new videos in the future.